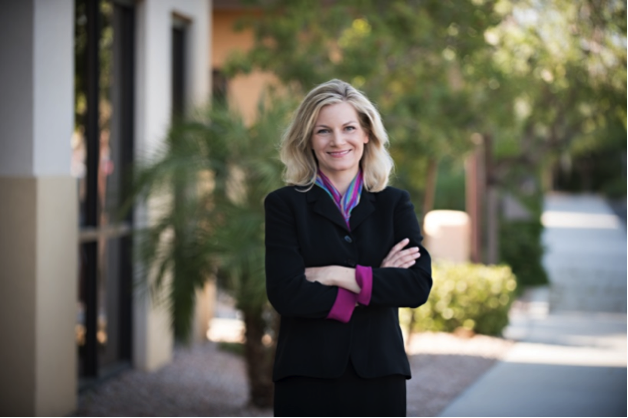 Dr. Emese Kalnoki, MD is a plastic and reconstructive surgeon serving the Phoenix East Valley. She specializes in reconstructive breast surgery to address the effects of breast cancer, as well as cosmetic breast enhancement procedures. She is also highly experienced in body contouring plastic surgery, particularly those procedures used to address the effects of weight loss or pregnancy. Dr. Kalnoki adheres to the philosophy that plastic surgery should provide patients with a restored sense of self- confidence and wellbeing, and she finds reconstructive plastic surgery, such as breast reconstruction, especially rewarding. She is committed to providing concierge service to every patient as her standard of their care. Dr. Kalnoki-Kis earned a Bachelor of Science in Biochemistry, with a minor in Egyptology, from the University of Chicago and a Master of Science in Biology. She studied medicine in Ohio, at Wright State University’s Boonshoft School of Medicine, followed by a five-year general surgery training at the Phoenix Integrated Surgical Residency. After completing her residency, Dr. Kalnoki-Kis spent two years training in plastic surgery at the University of Louisville in Kentucky and went on to complete a highly competitive fellowship under Dr. Dennis Hammond, a plastic surgeon renowned for developing techniques that significantly reduce scarring. Dr. Kalnoki-Kis has a particular passion and talent for art. The precision, attention to detail, and vision for the finished work required for painting is reflected in her surgical results.